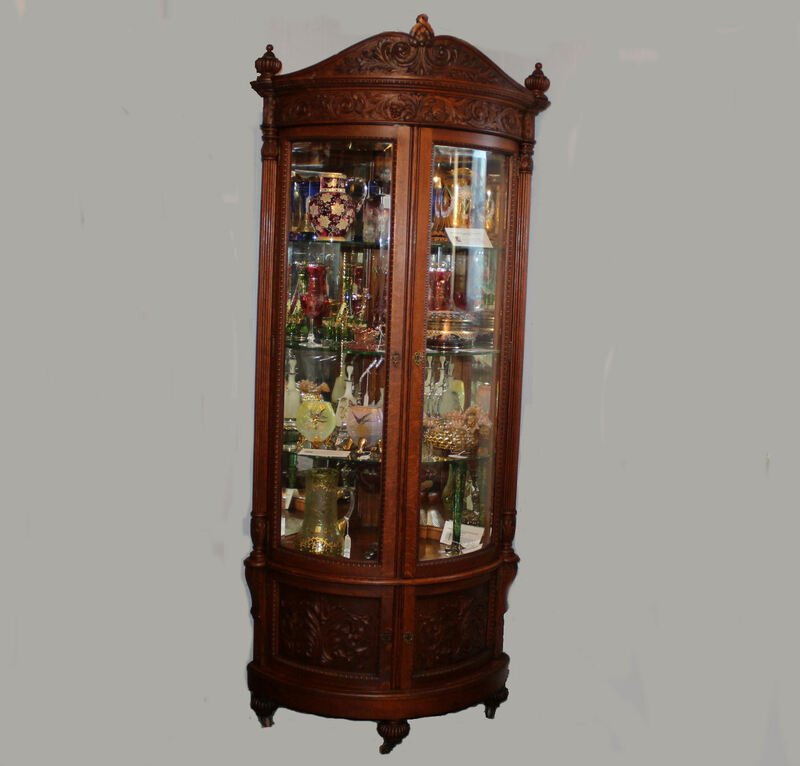 Antique Carved Oak Corner China Cabinet – curved beveled glass – Best of the Best! Antique Square Oak Dining Table with four Self Storing leaves – Robbins Table Co. Antique Oak File Cabinet – original finish – 56 drawers of storage! Antique Mission Oak Magazine or Library Stand – Original finish. Set of 8 Matching Antique Oak Dining Chairs – very good condition!